Episode Theme: We can only repent by asking for forgiveness and trying to to make things better. 1. Some people claim that they never sin. In Psalm 51:3, we see the great King David admitting that he has sinned. Why is it important to admit that we sin? 2. King David had committed a great sin. He had committed a sin behind another man’s back. And then, to keep the man from finding out, he had him killed. God sent the prophet Nathan to talk to David. Nathan told David a story about a rich man who had stolen from a poor man. David was very angry with the rich man. He wanted the rich man punished immediately. But then Nathan told David that David was the rich man! Nathan’s story was about him! David knew he had done wrong. He had sinned against himself, against the other man, and against God. He went without food and spent many days praying. In Psalm 51:1-6, we can read David’s prayer. He admitted that he had sinned. He told God that he deserved punishment, and he asked God to have mercy on him. David had to face the consequences of his sin, but God forgave him. As you listen to this episode, think about important it is to admit that you’re a sinner. 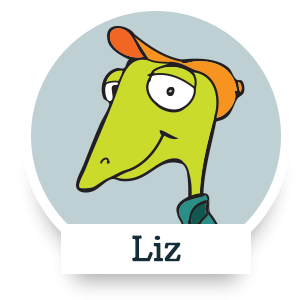 In this episode, Liz, Morrie, and Spike decide to admit they were wrong and do the right thing. When we do things we know are wrong, our consciences bother us. We are afraid of being caught and getting in trouble, but we’re also ashamed because we know we did something bad. All of our sins were paid for when Jesus died on the cross. But it’s important for us to admit that we still sin. This is called “confessing.” It means that we agree with God that we’re sinners and need to take responsibility for what we’ve done. We need to thank Him for forgiving us and showing us mercy (Proverbs 28:13). And then we need to make things right with anyone who was hurt by our sin. Want to dig deeper and learn more about admitting that you’re a sinner and making things right? Check out Psalm 32:5, Psalm 38:18, and Romans 7:24-25. What was the name of the fancy restaurant Morrie took his friends to? What did Liz ask the host to call him? 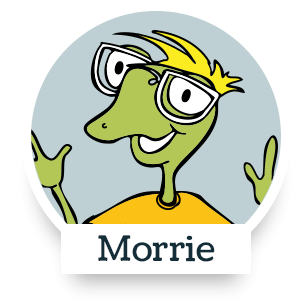 What two things did Morrie realize were important when he was overseas? 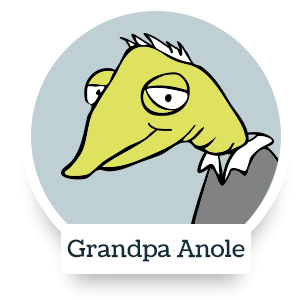 What reason did Morrie give Grandpa Anole for taking Liz and Spike to an expensive restaurant? He thought he was losing them as friends. 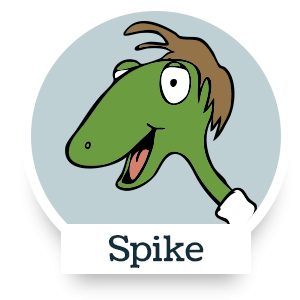 What time did Morrie wake up Spike? Have you said something mean about someone or taken something that belongs to someone else? If you have, first talk to God about it. Then tell the person you’ve hurt what you’ve done. Let them know that you are sorry. Because you did something wrong, you’ll need to make things better to restore the relationship, but you’ll be doing the right thing. And then remember what it felt like. Think of how you’ll react if someone does something hurtful to you.